Modern agricultural practices are a world away from what our ancestors used to practice. There have been many innovations and inventions that have made growing plants easier to influence and control. As the days pass, more and more farmers are beginning to realize that production must be balanced by sustainability. The term ‘sustainability’ became widespread not long ago, when researchers and agricultural scientists began to see the threat of some unhealthy practices. Sustainable agriculture is a set of practices which protects your plantation or farmland for generations to come. It means adopting methods that allow you to use the earth to fulfill the needs of today, while making sure that it is still productive for the generations to come. 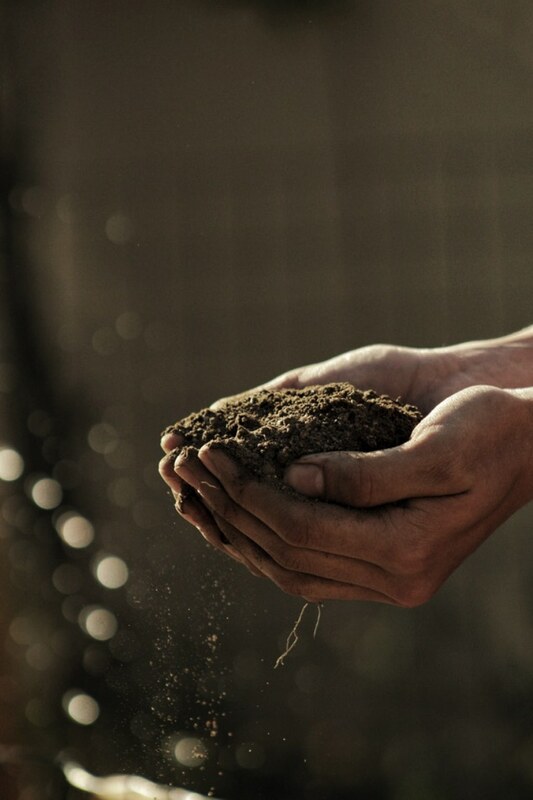 Essentially, sustainable practices include protecting the soil from pollutantsand ensuring that it is not stripped of its natural nutrients. Sustainability also includes the protection of wildlifeand other organisms that make up the ecosystem of you plantation, so that the balance will continue in the years to come. Sustainability is all about understanding how nature works, and realizing the importance of not destroying natural cycles and processes. As a farmer or plantation owner, it’s up to you to know which practices are not sustainable, and which ones to change. CRFs are not released into the soil immediately. They are released over a period of 9 months to a year at a relatively constant rate. This means there will be less excess nutrients in the soil which can lead to pollution of nearby rivers and streams with fertilizer rich runoff. Daebak’s CRFs are coated in a natural layer that can be broken down by microorganisms to release the nutrients contained within. These coatings don’t contain any harmful chemicals that can endanger the natural microorganisms in the soil, or plant roots. They have no negative impact on the surrounding environment, and are safe in any quantity. 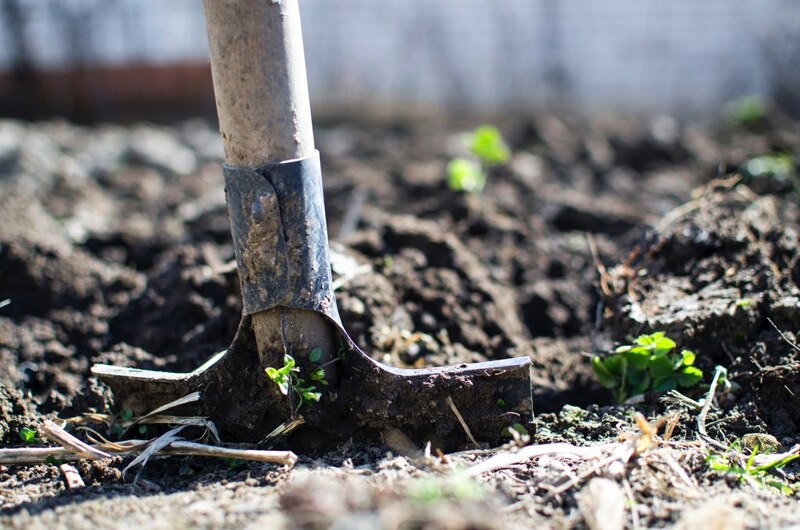 Normal fertilizers tend to dissolve rapidly into the soil, causing a sharp increase of nutrients. This causes the amount of soil nutrients to peak and decrease rapidly. Continuous instability of nutrients in the soil isn’t just bad for the plants, it affects the environment too. This is because extremely high amounts of nutrients can lead to fertilizer toxicity. 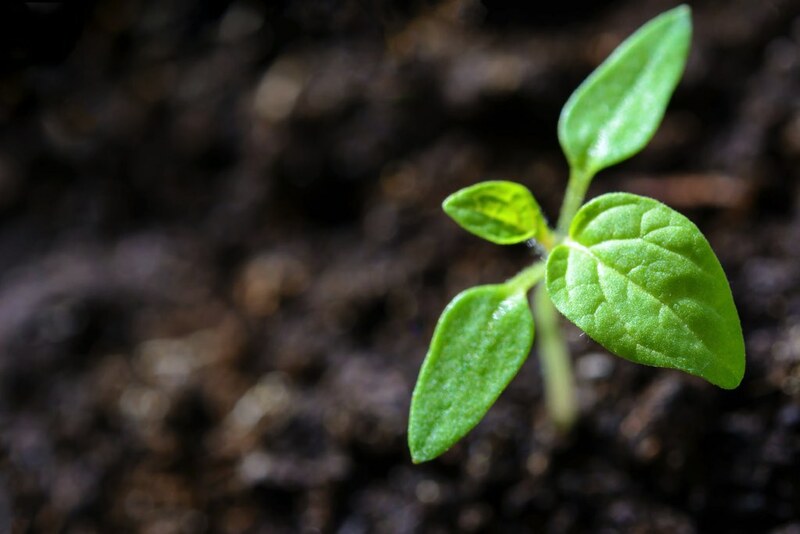 With CRFs, nutrients are released at a constant rate, and the soil will not experience any sudden increases of these elements. This creates a more stable soil ecology where the crops can live in harmony with microorganisms and small creatures that co-exist with it and support it. 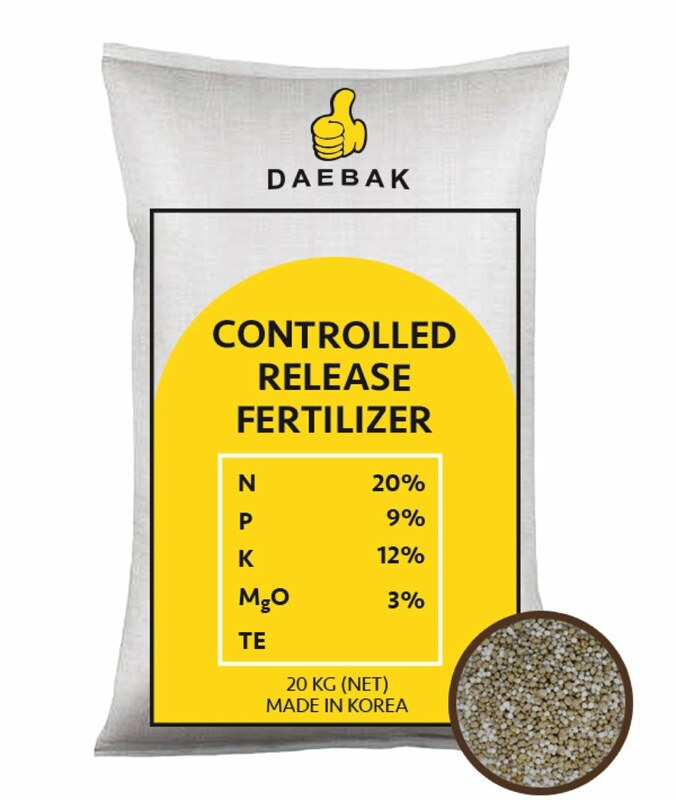 Here at Everchem, we have designed our Daebak Controlled Release Fertilizers for you current needs, as well as for the future. You can count on our CRFs to deliver quality now, and for the years to come. Choose Daebak, choose the future.